Ultramaxit is a simple to use Maximizer powerhouse that is great for bringing up the overall level of a mix or achieving heavy compression settings. 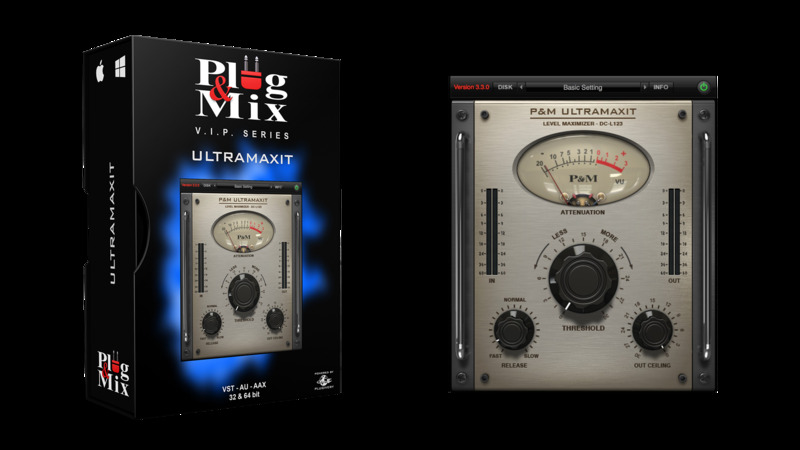 Apply this plug-in to your master bus and achieve the overall broadcast/mix level you need, without distortion. The big Threshold knob controls the amount of compression. While the Release knob changes the speed of the compressors release. Adjust the Out Ceiling knob to control your overall output level. - Threshold : Gives you less or more gain reduction. - Release : Determines the speed at which the compressor releases. - Out : Controls the maximum output level of the plug-in.